New and Improved September TBR! I was really excited to read this when I heard the plot, but didn’t end up buying it until a week or two ago. Regardless, I have it now and am several chapters in. I am super pumped to see what I think of this hyped up contemporary but I have no doubt I will love it! Geekerella follows our main character, Elle, who is a massive fan of her father’s favourite TV show, Starfield. When she sees a cosplay contest sponsored by the producers of Starfield she enters it to win a ticket to the ExcelsiCon Cosplay Ball, and winning could make all her fangirl dreams a reality. 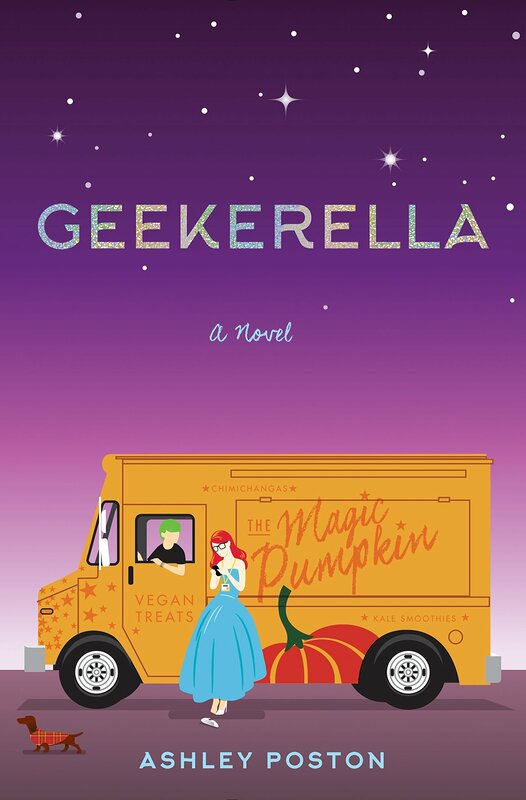 Geekerella will be a very relatable and fun read which will hopefully get me out of my reading slump that is rapidly growing. This is a book I love to read when it is the back-to-school season, which it currently is, so it is a perfect time to pick up this book and give it a re read. This follows a girl named Annabel who looks like she has a perfect life from the outside, but the inside is a totally different story. Over the summer she lost her best friend, it is revealed her sister is struggling from an eating disorder, and Annabel herself is struggling with the realization that she doesn’t want to model anymore, but modeling is something her mother desperately wants for her. Feeling isolated and like she doesn’t belong, she suddenly meets another outcast named, Owen and they form an unlikely relationship. I remember really enjoying this book so I am excited to pick it up again after about a year! For some reason I am dying to re read The Dark Artifices trilogy, well the first two books in it anyways. I miss the characters and need more Mark and Christina!!! If you didn’t know, Lady Midnight follows a cast of characters we briefly met in Cassandra Clare’s other series and continues on in the complex Shadowhunter world. I can’t really say much else because you need to read all of her other books before jumping into this trilogy, but there is action and demons and it is definitely worth reading! Those are the three books I plan on reading this month and fingers crossed I can get them done! I have nine classes I am juggling right now so my mind is a mess, but hopefully reading will take away the stress like it usually does. Don’t forget to check out my last blog post: Bingeable TV Series!